border around the painted area, making it suitable for framing. I hope you all will take a moment to check out Gail Schmidts contest and vote. They beauty represented there will astound you! 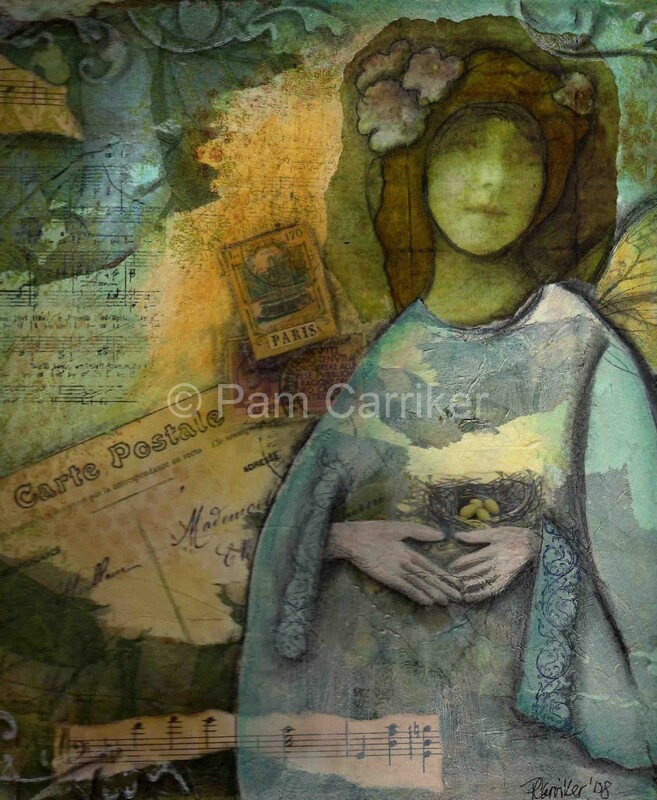 You’ve created an amazing piece of art from Gail’s offered image…best of luck in the contest! Your work is brilliant. I absolutely love what you have achieved with this piece. It is very intriguing. Pam~This piece is totally stunning. You have a very deep talent…I am so inspired by your work, in awe of it too. Good luck in the contest. The very best of luck to you. The painting is lovely. Thank you so much for stopping by my blog.